You may have heard Montreal-based composer Justin Wright play the cello without even realizing it. Though Wright's debut LP, Music for Staying Warm, doesn't see an official release for a few more days (April 5, to be precise), he has played on records by bands like Folly and the Hunter and Raveen, and he's shared the stage with Common Holly, Colin Stetson, Mount Eerie and Devon Welsh. 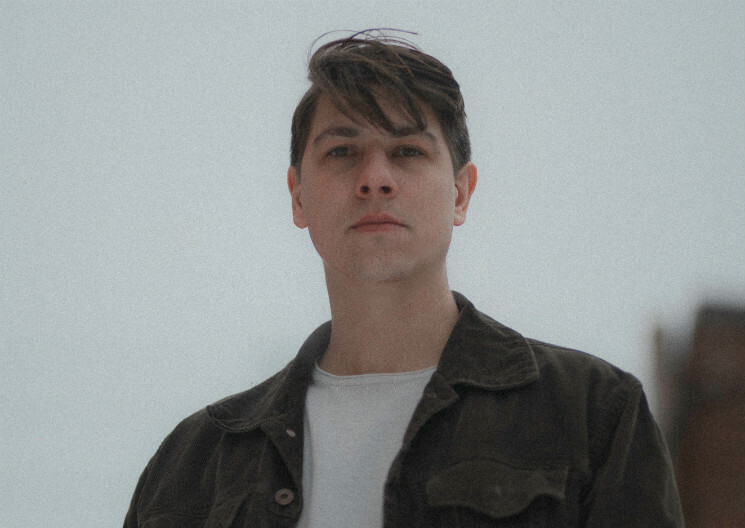 In 2018, Wright was an arranger and performer on Jeremy Dutcher's Polaris Music Prize and JUNO award-winning record Wolastoqiyik Lintuwakonawa. Now, he's about to drop his peaceful, string-filled record of composed and improvised pieces, one that puts the spotlight on Wright and wholly illuminates his craft. It all started, Wright tells Exclaim! in an interview over the phone, with a request from a friend. As part of Montreal's Nuit Blanche festival in 2016, Wright's friend was organizing a chill room within a busy building of gallery spaces and asked Wright to perform as part of a string trio. Wright composed pieces for the event thinking that they would provide background music for quiet minglers. "But then everybody sat in front of me and really quietly listened," Wright says, softly laughing. "It was really nice and pretty reassuring! I was like oh, people like listening to this stuff, it's not just setting the mood." Wright began taking cello lessons when he was eight years old, but at university, he studied biology. Until recently, Wright was a Master's student and molecular biology researcher on his way to becoming a biology professor, but was turned off by the intense demands of the field. He traded it in to pursue a career in a field he was more passionate about: music. In between collaborating with others, Wright released his debut solo EP, Pattern Seeker, a dizzying blend of electronics and strings, in 2017, and continued to flesh out the pieces he wrote for Nuit Blanche. During an artist residency at the Banff Centre, he wrote additional tracks for the LP, and with added instrumentation by violinist Kate Maloney, recorded Music for Staying Warm in six hours. "My [creative] process is pretty inconsistent, which usually ends up giving me a lot of anxiety when I want to write a song — I feel like everything else I've done was by accident. It makes me feel like I'll never be able to do it again. But of course, I manage every time. I'm still at a point where I'm playing around with different ways to create music and come up with new ideas." When Wright needs to unwind, he turns to the nostalgia-fuelled Ethiopian music style Tizita. He says that while composing Music for Staying Warm, he was inspired by the feeling "of going nowhere" espoused by the songs. "Basically that idea of writing something that could in theory go on forever, I really liked. It's not so much an aesthetic inspiration but a conceptual thing," Wright explains. "In some of the more composed [pieces on Music for Staying Warm], there are all of these cadences where you think the chord progression is going to go somewhere — it does, but it ends up dwelling on certain chords a lot longer. It can be frustrating to play sometimes because you're like, 'No, it should change now!' and it doesn't. There's a lot of stuff like that in there. The drone tracks too — [with] those you have to accept that they're not going anywhere." Music for Staying Warm is a hushed recording, but it's not mood music, as Wright discovered during Nuit Blanche. Wright amplifies the unique textures and tones of the strings (violin, viola, cello and double bass) that are woven intricately within each piece, which demand close listens. The glorious "In Sunlight," for example, glistens in varying hues as if mirroring the changing colours of the sky, and urges you to accept the present moment. "It's an exploration of our need to find resolution," Wrights says about Music for Staying Warm. "When people are sad and want to feel happy, we don't just put on bumping party tracks to cheer up. We like to mope a little and listen to something that's more in sync with our current emotions. It's an album that sympathizes with our wish to find resolution and be warm." Music for Staying Warm is out April 5 on Sleepless Records.